Collectorz.com Core Music Database Various Artists "Golden Era of Doo-W0ps: Parrot/Blue Lake Records, Pt. 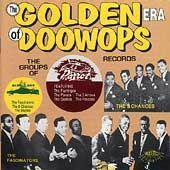 2"
"Golden Era of Doo-W0ps: Parrot/Blue Lake Records, Pt. 2"